Digital Storytelling 106 – Why is this MOOC so important? You are here: Home / Blog / Blog / E-learning / Digital Storytelling 106 – Why is this MOOC so important? In this blog I’m going to discuss what I feel has been a particularly important MOOC, Digital Storytelling 106. I’ll discuss why I feel it’s important, its pedagogies, the innovations that it represents, and how it may hopefully be used as a format for future educational scenarios. What is Digital Storytelling 106? Digital Storytelling 106, more popularly known as ds106, is an open online course which began in 2010 as a computer science class on the subject of Digital Storytelling at the University of Mary Washington. The course covers text-based technologies such as blogging, the roles of audio, video, and images, computer animation, the ethics of modifying digital images, and how narratives are published and disseminated. Students, who require no previous computer experience, use these digital tools and media to create and communicate their own stories. Though ds106 might commonly be identified as a Massive Open Online Course or MOOC, it arguably isn’t impossible for to compare ds106 with many (if any) other courses that identify as such. However, ds106 fits the criteria of being an online course that is open access and available to unlimited numbers of learners. There are no prerequisites, fees, or required levels of participation with learners taking part on a voluntary basis. The course began as a creative elective purely for computer science students but was made open in 2011. Running alongside the regular UMW ds106, courses a number of evolving iterations followed. In 2013, the course organisers ran the experimental Headless ds106 that featured no teacher. This was then adapted to provide an ongoing non-time-bound ds106 experience as the Open ds106 Course. More recently there has been the development of a new Social Media Production ds106 ‘aimed at developing an online presence and exploring digital storytelling through units of study materials and creative assignments’. Before exploring ds106 as an innovation or a vehicle for it, we need to remember what innovation may be in this context. Central to innovation is change. This change may be the development and implementation of new devices or practices to replace or complement existing tools and operations. Innovation can also be defined as how a familiar process in one context is used for the first time in another to affect change. In ds106’s context of online learning, a primary consideration would be whether the course has positively affected a change in pedagogy within online learning or whether it is the continuance of traditional styles of instruction. The innovations relating to ds106 can perhaps be categorised into two areas. The platform which facilitates the learning and the innovations in learning that platform and the course’s pedagogy engenders. In place of a traditional learning management system (LMS) such as Moodle or Blackboard, ds106 is built upon a distributed network architecture. What this means is that instead of using a resource belonging to the University of Mary Washington where all interactions play out, resources are stored, and work is created and kept; students register their own web domains, manage their own blogs, and, as a result, learn to shape or assert their digital identities and own and take with them the stories they create. 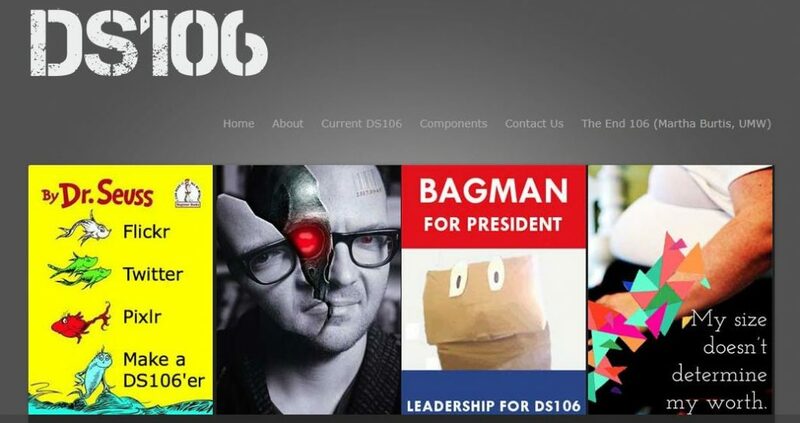 The ds106 platform itself is built on open source software, sites and free plugins. The courses’ content is distributed through a central website, and students create artefacts such as images, videos, and audio files in response across the open web. Students submit their work by posting them to their own blogs but add a series of hashtags. These hashtags are recognised by the central website and is curated and connected to other students and educators. Hashtags, therefore, not only categorise information, but also coordinate learning for the participants that are invested in the ds106 community. In general, the online component of a MOOC provides space to publish content such as video lectures and readings. ds106, however, provides more than that facility. It functions to help its participants be at the centre of the web content creation process. DS106’s decision to design its distributed network architecture was based on Gardner Campbell’s conceptualization of a personal cyberinfrastucture in 2009. Gardner surmised that as opposed to simply giving students access to an institution’s ‘template-driven, plug-and-play, turnkey web applications’ that failed to empower them in the new post Web 2.0 online environment, students should be given their own webspace to build their own personal cyberinfrastructure. In doing so, students would acquire technical skills and engage in a variety of ‘richly teachable moments’ as they made their own way through what the Internet and its innovations offered to them. 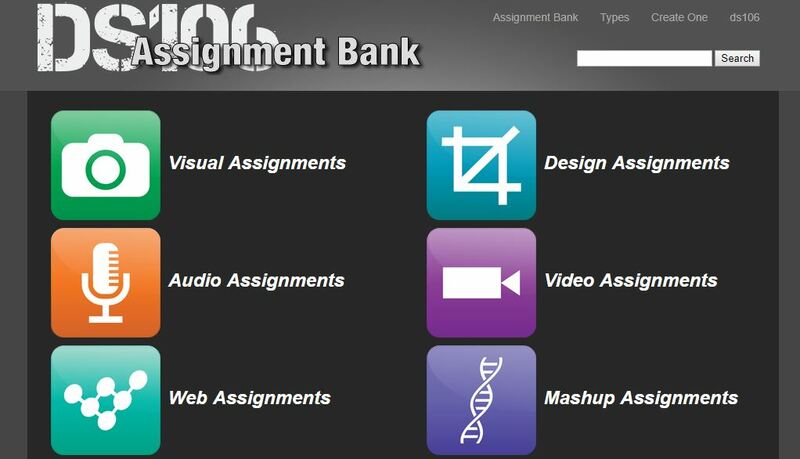 An example of how open pedagogy is used and has resulted in innovation is ds106’s Open Assignment Bank. This is a participant generated collection of creative tasks which came about organically. This is arguably a huge pedagogical innovation. Assignments are posted to the blog according to categories and unique assignment codes. Students who do those assignments then add that unique category code so that the posts on the students’ respective blogs can be pulled into the central course blog. Also, students take these assignments and add further aspects to them themselves. Another unpredictable result of the course’s openness and leveraging of digital technology was how a student created a ds106 radio station. It runs continuously using a server and radio DJ software drawing on files added to a dropbox. Students create radio shows. This has become a new platform to work on and create content. Later, a student created a ds106 TV station using cheap video equipment and Wirecast, a video-streaming tool. Participants created TV shows which were made available to the DS106 community. For example, ds106 students in Japan made videos of the aftermath of the 2011 tsunami. The ds106 product, as you can see, is not one frozen in time or one that is dependent on its designer. ds106’s 2013 experiment of the initial ‘Headless’ course (which since has been succeeded by the Open version) provides further proof of this as an experiment in ‘participant pedagogy’. Participants in the Headless course had to create their own strategies, without instructions at that particular moment. Headless ds106 materials and assignments from previous University of Mary Washington classes were included in a syllabus, and participants were directed to pick whatever things that were meaningful to them and then to engage with others via social media or participants’ registered blogs. They then sought out volunteers to not teach or lead but to encourage participation through activities such as introducing topics and writing about them in their own blogs, encouraging and connecting people via social media, doing assignments and sharing their work, sharing resources, and highlighting the work of others. The organisers suggested that this new course gave participants the opportunity to choose a level of participation in creating or helping others. There is a rich and detailed background to these pedagogical choices and innovations. Firstly, it is undeniable that ds106 has been influenced by connectivist learning theory. Connectivism relates to how learning in the information age can now be seen as a process of making and maintaining connections to nodes of specialized information sources. ds106 takes a connectivist approach by providing a place for likeminded learners to cluster, make connections and a structure with which those clusters of likeminded learners can achieve their goals and learn. A key aspect of this learning results from how ds106 learners are assigned tasks where they have to engage in practice and become a part of a community. In these communities of practice, learning is the product of actual practice rather than purely the end product of knowledge acquisition. Communities of practice are comprised of people with shared goals and shared traits of language, means of communicating, and methods of performing tasks. Learning associated with these groups is achieved via active participation and is mainly a social process. ds106 is a community where learners are constantly creating and collaborating on things outside of their general frame of reference or specialty and are therefore applying new ways of looking at the tasks or gaining ideas as to how to apply new-found skills and ideas in their own contexts. What impact has ds106 had? One of the important outcomes of ds106’s evolution is the Headless experience and its successor the ds106 Open Course. 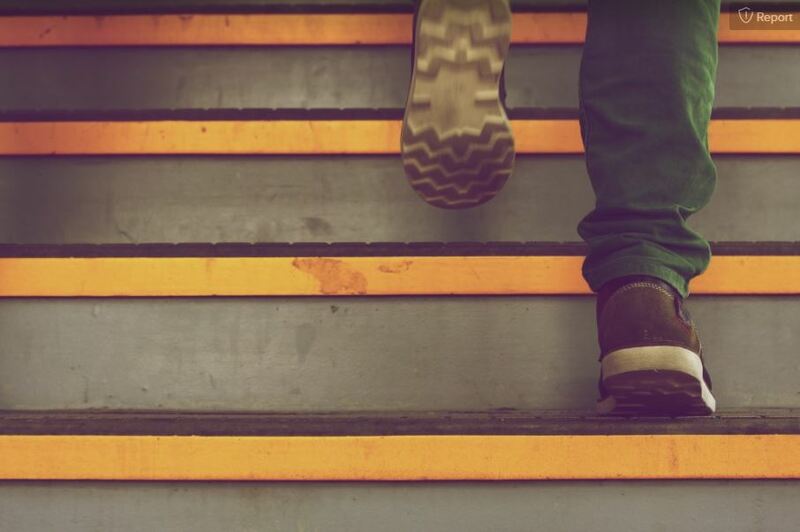 These teacherless courses may have a significant impact on education in the future. There are some educators and academics that see the act of teaching as having no intrinsic value other than its facilitating role of creating space for learning. However, in ‘participant pedagogy’ as exemplified by the Headless ds106 course, it does not mean the teacher is removed from a learning scenario. It clarifies the function of a teacher as someone who models activities to encourage learners to experiment. The teacher’s secondary responsibility is to provide a safe space for the class to undertake activities and take those risks. MOOCs in general can suffer from what has been described as the challenge of scale which relates to how massive open courses simply cannot facilitate the necessary feedback provided by educators in traditional learning scenarios. However, it may be innovative pedagogies that can solve this problem., and ds106’s open structure and the adoption of an approach where participants are invited to volunteer as connectors and modellers of activities to engender the engagement of other participants provides one such potential pedagogic innovation. Another important impact of ds106 is how the course can be utilised by educators who would like to set up their own courses using ds106’s format and existing structure. These educators’ satellite courses are then brought into the flow of the existing site but are provided with a view and custom page to aggregate the specific output of their learners. One such example where the ds106 system has been repurposed and used is by the American multinational 3M where ds106 was being explored in a corporate environment. The results of that course, indicated that ds106’s pedagogy and assignments could be adapted for use within a corporate intranet with creation and communication tools available internally. 3M and the people responsible for the study; Rochelle Louise Lockridge, Alan Levine, and Mariana Funes found that 3M participants adopted an approach of working within a layered ‘open organisational web’ with a specialist facilitation role of ‘Salon Patroness’ or network connector. Their hope was to engender a more open mindset resulting in increased creativity and innovation but within a ‘default closed’ corporate environment and explore the possibility of whether the gap can be bridged between mainstream corporate training and the learning which occurs on the open web. What potential issues are there with ds106? ds106, however, remains a MOOC and there remain very poor completion rates across most MOOCs. There are also, arguably, no satisfactory systems to assess the quality of MOOCs from learners’ perspectives. This, in ds106’s case may be particularly acute due to the fact that there is a difficulty in effectively researching interactions between its participants as a result of the networked clusters that are (or aren’t) established all over the open web when communication between participants on the course often takes place outside course’s core framework. ds106 may also not be for every learner. dS106, due to the very concepts, formats, and innovations that may make it so successful, may be prohibitive for many who don’t understand that the engagement comprises the learning, and there is no linear guide for new participants. There is a two week ‘bootcamp’ at the beginning of the course to aid in the development of their digital fluency with the tools necessitated by the course. However, learners might require some degree of familiarity with ‘web speak’ and social media and thereafter there will still be a necessity to learn many tools related to producing artefacts incorporating audio, video, photography, writing, and more. Finally, there is the notion of there being some learners that are simply good at thinking in a way that relates most successfully to what ds106 represents, namely divergent and convergent thinking. Divergent thinking is the ability to produce creative ideas through the exploration of many possible solutions. Convergent thinking, in contrast is the ability to follow specific logical steps to one solution. The difficulty in relation to learners thriving in ds106 who are not divergent thinkers is that though the creative process necessitates both types of thinking at different points, it is not possible to converge on a solution to a creative task if the divergent possibilities are not initially explored. Learners who are more prone to perceiving difficulties as opposed to solutions in the completion of ds106 tasks will not do well. How could the ds106 formula be used in the future? So, can ds106 be used as a model for other disciplines? There may be no reason why the types of assignments and environment generated in ds106 cannot be applied from students personal perspectives and integrate the specific aspects of the disciplines of a multitude of academic spheres and professions. What we need to do is to distill the lessons learned in ds106, relating to how creativity is fostered, narratives are explored and leveraged with new media, how tasks are crowdsourced and designed by the students themselves; and then have these lessons applied in those other contexts.